• Coupon labels open to show a reduced price on your product. 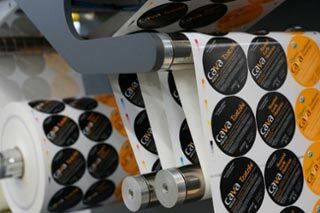 These labels increase sales at point-of-purchase and can be printed with many different types of adhesives. • Booklet labels open up to multiple pages of text or diagrams, allowing you to add additional product information that ordinarily would not fit on regular label. Sometimes this is a requirement for pharmaceutical or chemical labels. • If your product needs additional security to deter theft or tampering, we can help you determine what would work best like holographic images, destructible labels or tamper-evident closure labels. • Labels that include game pieces or scratch-off codes for online interaction can increase brand loyalty amongst your customers. 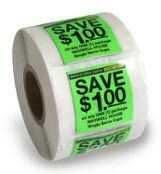 There are lots of different types of coupon labels. Most are a multi-layer construction that has some kind of peel-off facesheet that, when removed, reveals an immediate customer discount or other type of benefit. When you want to promote your special discounts, in-store sales, promotions or products rebates, a coupon label is the best way to get your customer's attention. Sometimes you need more room on your label to include warnings, directions, nutrition information, etc. Booklet labels are the perfect way to add more information to your label. Often times there are labeling requirements for products like nutraceuticals that have to be included on the label but the container is too small to hold all that text. By adding these extended text pages to your label, you increase your message to your customer while fulfilling your mandated information. 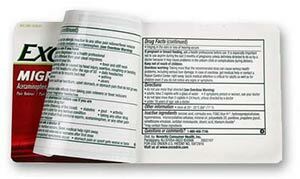 Booklet labels can be detachable or resealable depending on your product and its usage. 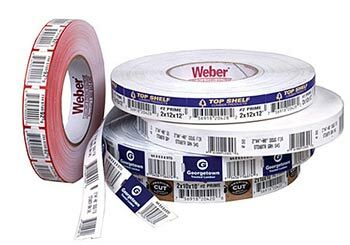 When you need to use a label that helps keep your product secure, contact Weber. 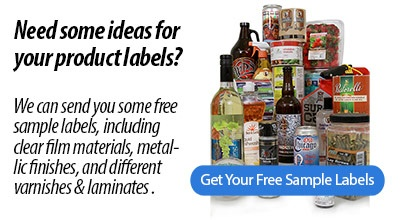 We have a wide-range of label solutions including destructible labels that come apart when removed after application; holographic labels to ensure product integrity and avoid counterfeiting; tamper-evident closure labels; and other kinds of labels that can alert you to changes in temperature during your product shipment. Online games and promotions are extremely popular and the quickest way to engage your audience is to include game pieces with your product. 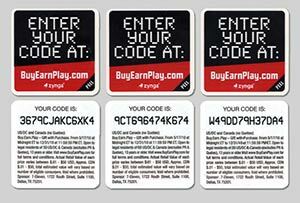 These coupon-like labels feature peel-off top layers that reveal a code or other special information for the game. 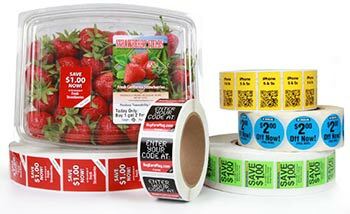 The variable information can be added to the label during the printing process using either UV inkjet printing or laser coding. We can help custom design your game piece labels to meet your requirements and print them in a secure manner to eliminate any pilferage. When you need to attach bar code labels to dimensional finished lumber, the best way is to staple polytag labels on the ends. Polytag is a white polyethylene tagstock that works great for outdoor/nursery applications. It is designed to accept thermal-transfer printing on both sides. This material has a high tear resistance and is virtually weatherproof. These labels work with our FasTagger II lumber stapler/tagger which makes it easy to tag large amounts of lumber quickly and securely.